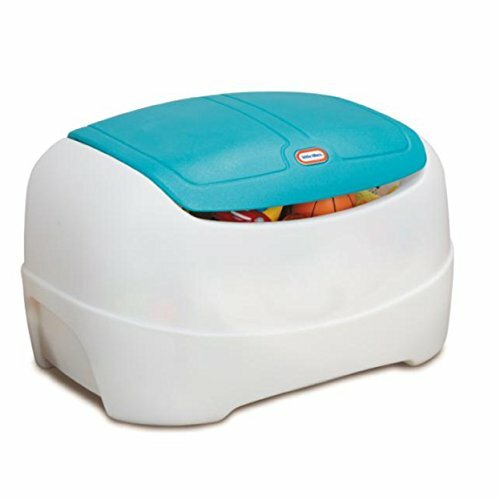 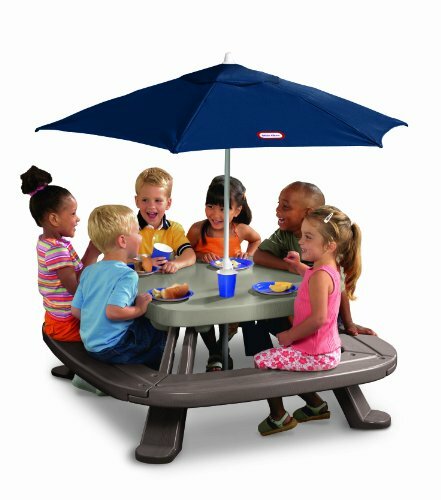 451A Features: -Ideal for ages 2 - 8 years.-UV protected.-Comes with its own carrying case.-Seats up to 8 kids. 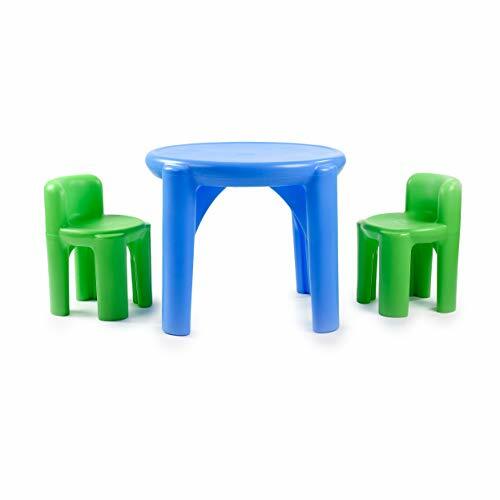 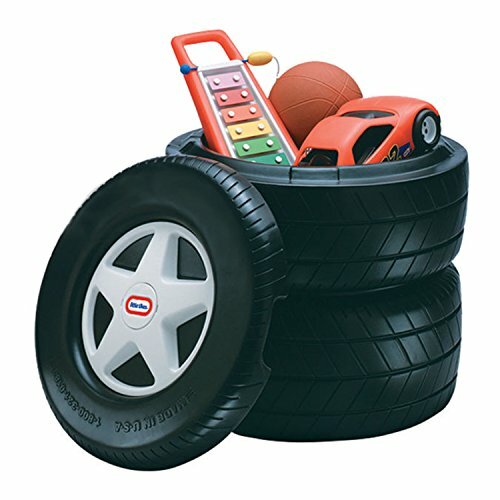 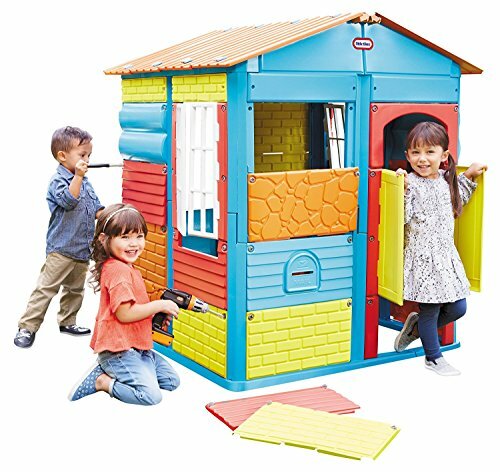 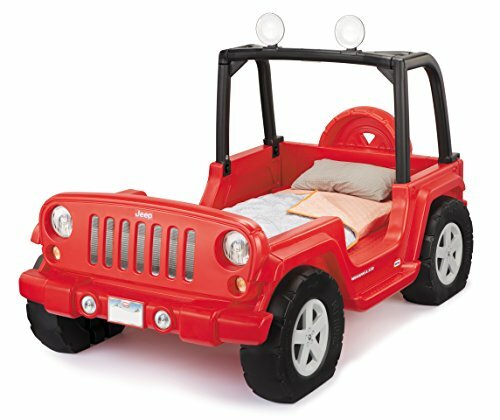 Dimensions: -Dimensions: 20.2'' H x 47.5'' W x 47.5'' D.
Kids love using furniture designed specifically for them! 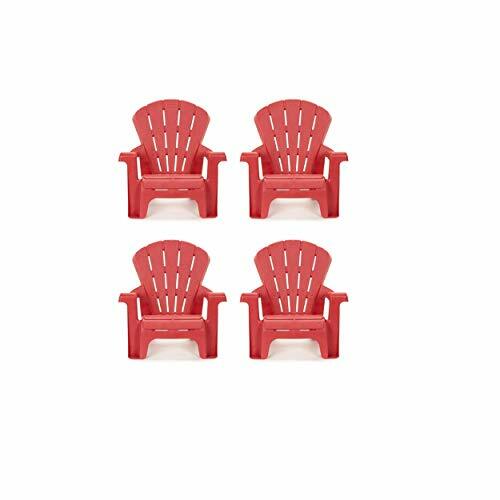 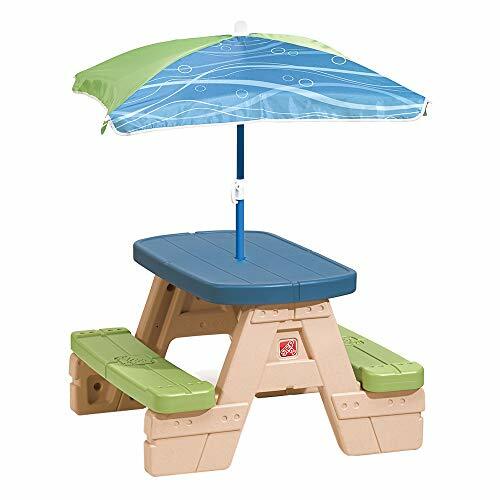 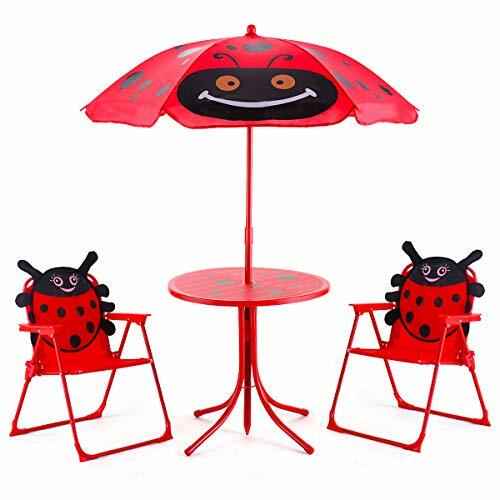 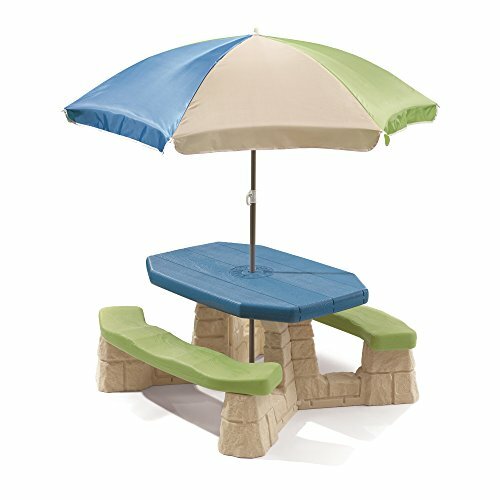 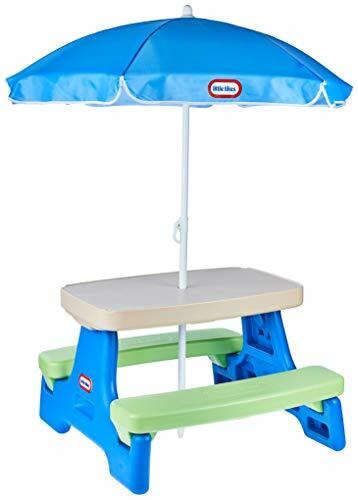 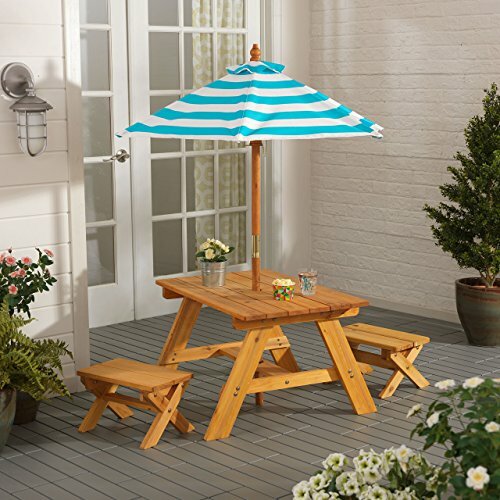 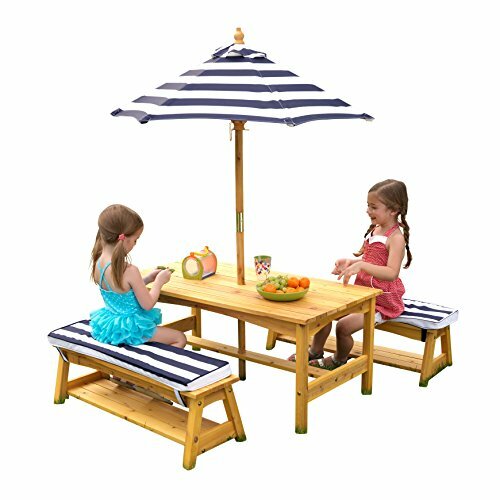 This outdoor Table and Bench Set with Cushions and Umbrella is perfect for the summer months and would look great in any backyard or on any patio. 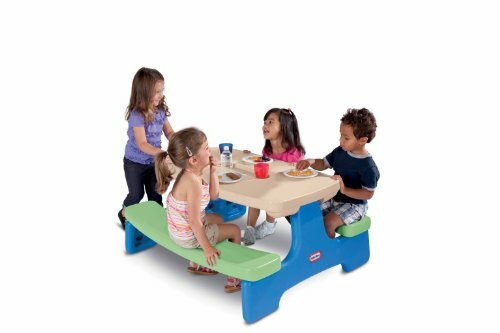 Perfect for eating meals, playing games and more. 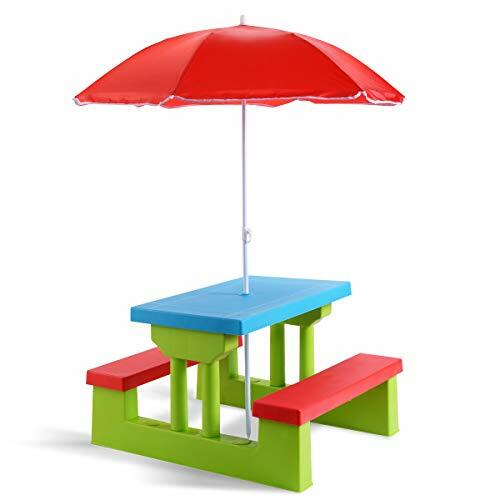 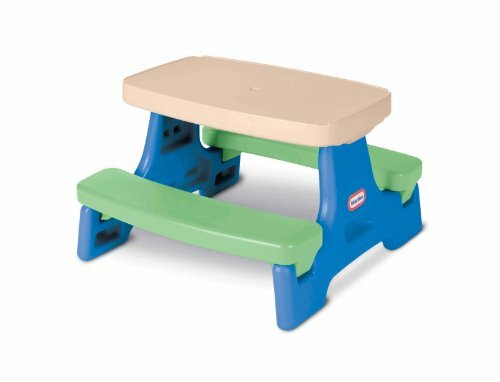 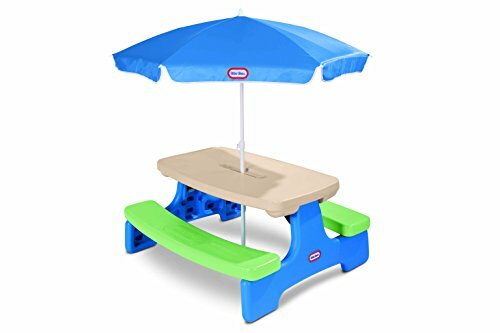 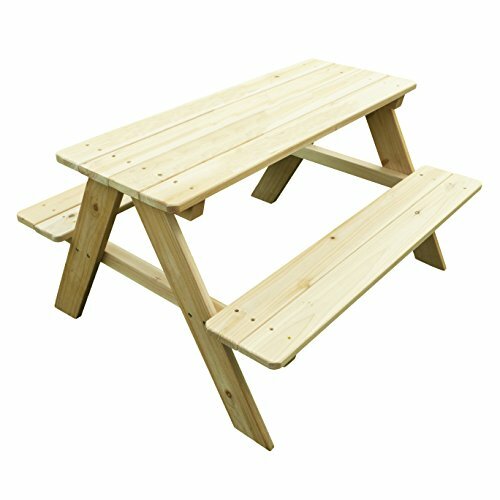 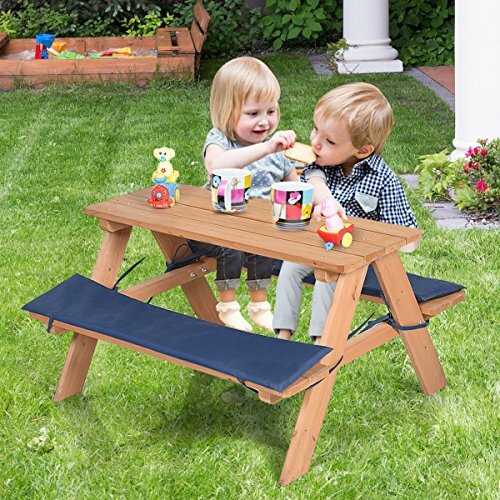 Kids Wooden Picnic Bench with a beautiful and timeless design that let the kids enjoy the company of their friends and siblings in style.